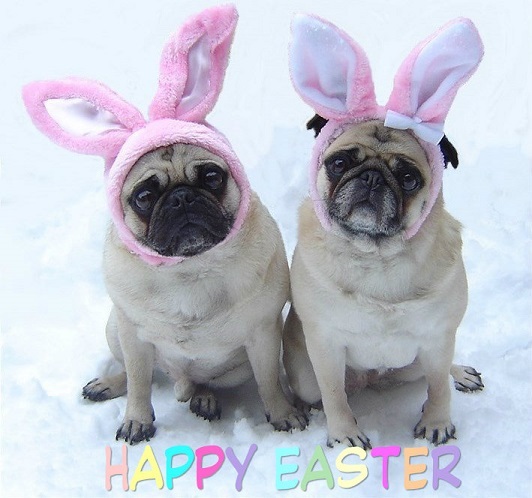 Cute Pug Bunnies Happy Easter. . Wallpaper and background images in the Picks club tagged: pug dog easter bunny cute funny puppy spring costume happy easter.